Highly skilled tradesmen with years of painting and decorating experience. Our team of highly skilled Dublin Decorators have worked on all types of residential properties over the years from apartments to three and four story Georgian houses. DT Decor Painters and Decorators Dublin, always work closely with our clients to advise them on colors and which trends to choose. DT Decor’s Painting and Decorating Dublin Team strive to ensure that we provide an affordable service to fit their budget. Continuously with all our jobs, we aim is to carry out all work with cleanliness and the least disruption to your home and family’s daily life..
No shortcuts – All work finished to the highest standard possible. DT Decor’s Dublin Painting prices – On giving a quote we usually state how many coats we will need to apply to walls, ceilings or woodwork. eg ceilings two coats or walls three coats. We can ensure you that all work quoted for WILL be carried out . There would be no shortcuts taken. If something needs extra coverage we would usually do an extra coat of paint for no extra cost to ensure we get the best possible finish. DT Decor Painters and Decorators Dublin also specialise in hand painted kitchens and bedroom furniture finished to the highest standard possible. 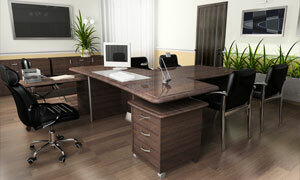 We offer a very friendly and professional service and guarantee you will be highly impressed by our standard of work. DT Decor covers all commercial painting such as Schools, Offices , Shops , Public Houses and Gyms. Some businesses might require a specific finish on paint to suit safety regulations or sometimes for durability. We ensure you that we can cover it all. As always we offer advice on specialty finishes if not already specified. We know that sometimes it doesn’t always suit business owners to have maintenance or work carried out during normal business hours. That is why we have decided that we can be flexible and work with business owners to ensure they do not loose custom. Our evening painting and decorating services means we can work evenings, nights or weekends if needed. Our tradesmen will always work whatever the hours to ensure deadlines are met and as always with the highest standard of work left behind. Most importantly for commercial painting we are fully insured. Quick turn-around for rental properties | Apartments/Houses.